The sound quality of mobile devices isn’t always great, which can be particularly painful for music lovers. AwesomeBEATS is an app that boosts sound quality, in a similar way to CyanogenMod’s DSP Manager. The installation is trickier than most apps, but this is understandable considering the range of ROMs supported in a single package. Once your device has rebooted, open Settings and select Sounds. Tap MUSICFX to launch the AwesomeBEATS control panel. You can modify all of your sound settings from this screen. 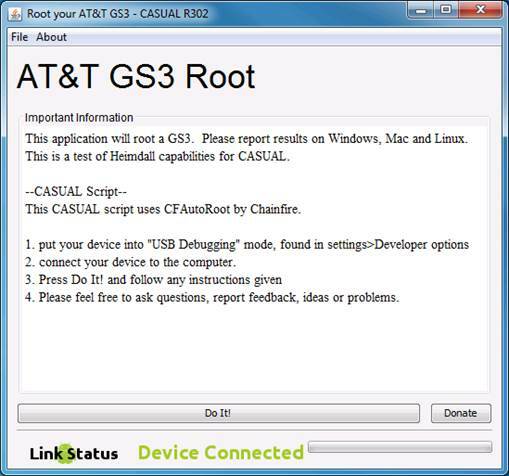 The CASUAL rooting tool now has support for rooting the AT&T Samsung Galaxy S III. To root this device using CASUAL, download the program onto your PC by visiting http://forum.xda-developers.com/showthread.php?t=2189536. Once the jar file has finished downloading, check your version of Java is up to date by visiting http://www.java.com/en/download/installed. jsp?detect=jre&try=1. If it isn’t, you’ll need to update before you can launch CASUAL. Once you’re ready to root, enable USB Debugging and attach your Samsung to the PC. If your device isn’t recognized, try another USB port. Then, simply press Do It and follow any instructions that appear onscreen to root your AT&T Samsung Galaxy S III. Which devices are best for the hacking scene? You can expect this new device to be adopt by devs just a widely as its predecessor the Galaxy S III was. Minimal ROMs or mods for the Z so far, but bloat-free ROMs are available. Remember you will need to unlock the boot loader first as well. Most of the usual suspects are present and correct. Hopefully there will be more unique tweaks and mods still to come. 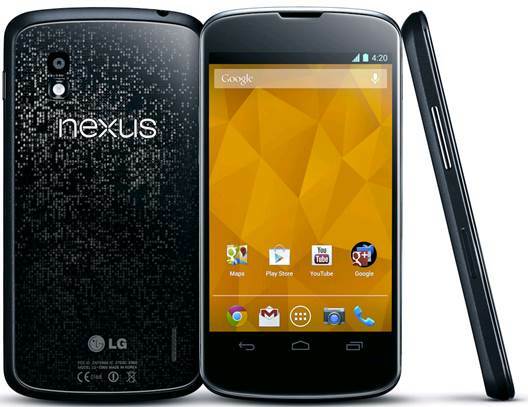 At such a low price the Nexus 4 is set to become one of the must-have devices for developers. Great news for the rest of us! Short for ‘operating system’. Often the Android ROM will be referred to as the OS - this just means the system files on the Android device that make up your user experience, similar to Windows, Mac OS X or Ubuntu on a desktop computer. Stands for ‘read-only memory’. In the context of Android, the ROM refers to the files that make up the operating system installed on your device. Gaining root privileges allows for replacement of the standard ROM with a custom one. ‘Rooting’ your phone gives apps access to parts of the OS that are normally hidden from consumers. This enables you to run more powerful software and install custom ROMs on your phone. An app available from the Android Market that enables you to install a whole new version of your OS with a single click. It requires a rooted phone to use and is ideal for those new on the scene. This app from the Market enables you to back up everything on your phone - apps, data, settings and all. It means that you can restore your phone to how it was, even after you’ve updated or changed the ROM. Available from www.unrevoked.com, this is a one-click tool that can be used for rooting many popular HTC smartphones. Stands for ‘Android Debug Bridge’. ADB is mainly used for software development, but it also has some uses for hacking your phone. It can be used to push files onto the system folder, for instance. You might come across the phrase ‘perform a Nandroid backup’. This means using a custom recovery tool to make a back-up image of everything currently on your phone: OS, apps, data, etc. It’s very useful should you wish to restore your phone to its previous state later. ‘Radio’ refers to the software on your Android device that deals with making phone calls and data connections. Updating your radio version can bring better battery life and signal strength to your device. Some ROMs require the latest radio. The storage in your device comprises flash memory, a type of solid-state storage. The terms ‘flash’ or ‘flashing’ mean installing new software onto your device’s storage. Phablet vs The Rest - Which Device Is The Best Choice For Everyday Life?